Stop using disposable cups which are lined with toxic plastic - there is now a biodegradable ecological alternative that will have your customers loving you for caring about the world! 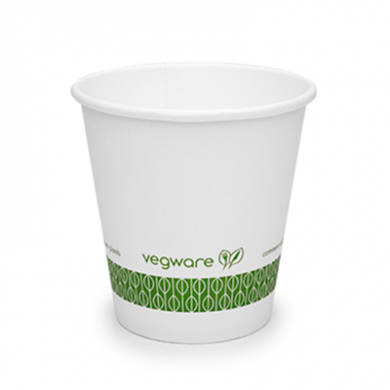 Vegware's hot-drink cups are lined with corn starch, not plastic - which means they completely decompose in 6-12 weeks and do not leave any toxic residues in your customers hot drinks! These compostable cups are light and strong, ideal for hot drinks on the move. Safe and non-toxic perfect for hot drinks.